You are invited to another historical album premier inside the realm of Shroud of the Avatar! 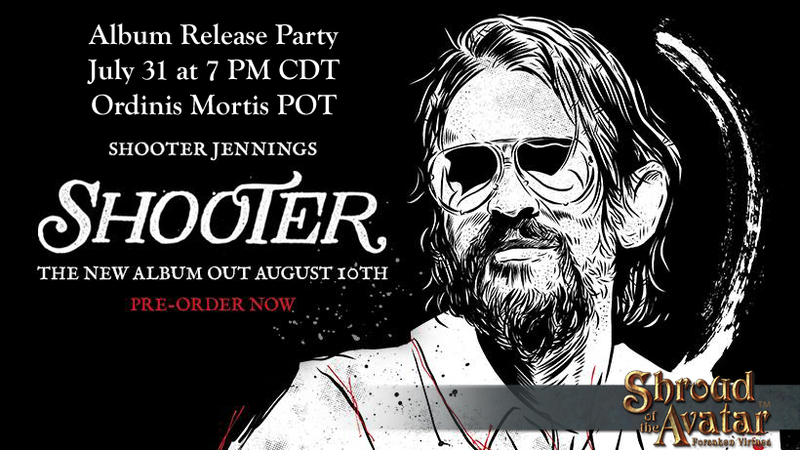 Rolling Stone lists Shooter Jennings’ latest album: “Shooter”, which releases on August 10, as one of the most anticipated albums of 2018! The event will kickoff through a series of quests that will appear in Release 56 which goes live on Thursday July 26. 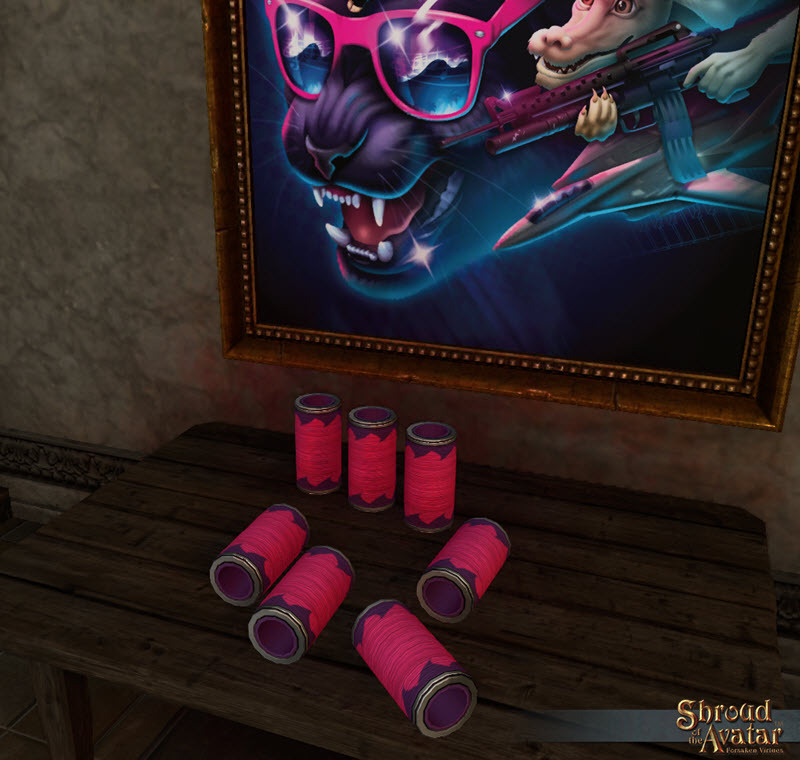 The quests will lead to the party at 7:00 PM CDT on July 31st inside Shroud of the Avatar, in the Player Owned Town of Ordinis Mortis. The first players to collect the clues and finish the quest will receive prizes from Shooter himself! 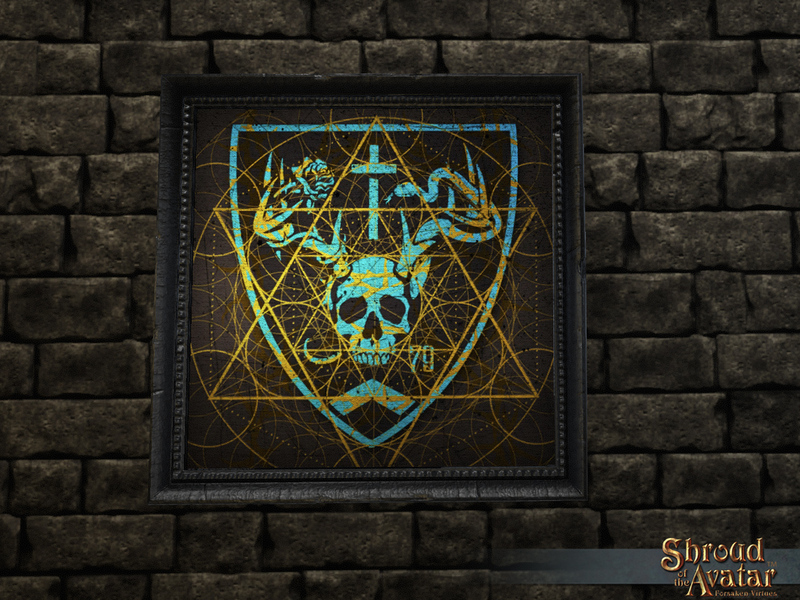 Those prizes will include exclusive items with Shooter’s heraldry in the game (armor, brewing casks, etc), wax cylinders with songs from Shooter’s new album, and framed art of Shooter’s heraldry that they can decorate their home with. At the party players will get an advance listen of the new album, among other festivities!